Do you prefer it dry, dirty, shaken, or not stirred? That’s the question we’re all asking on National Martini Day, a special occasion to enjoy your favorite version of the classic martini cocktail. The martini was originally called “The Martinez,” named after the California Gold Rush for the town of Martinez, where it was invented. Early martinis were made with wine, gin, and an olive. But since have expanded to many exciting flavors! So this Jun. 19 take a moment to relax while sipping on a new type of martini after your long day and start feeling like the international spy of mystery that you are. If you haven't made your self a martini at home ever try one of our recipes to test out the classic martini. If you already are a cocktail master, take today to try out a new one you've never tasted. Espresso martini, gin martini, cranberry martini, lemon martini, grapefruit martini: the possibilities are endless. Text your friends for an after work meet-up. Bonus points if you can find a cocktail bar with a piano and a lounge singer, because the only thing that makes drinking a martini better, is drinking it in the proper lounge setting. Do you need a mixer set to get started in your mixology adventure? Buy cocktails ingredients and bring them over to a friends house. Because, in reality, the enjoyment of drinking cocktails is truly about the company you keep. If you're not a gin fan you might have some trouble loving a martini, but if you do like gin, the martini is the essential drink to highlight the flavor of juniper berries and complement it with new and interesting flavors such as grapefruit or even espresso. 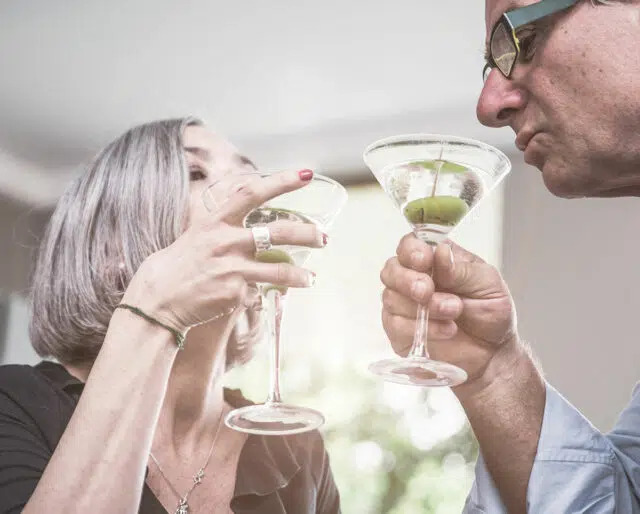 You only need eight things on hand to make a perfect martini: ice, a martini glass, a shot glass, a shaker, a strainer, vermouth, gin, and a garnish. Its so simple you can make them at home: try it out this National Martini Day. Martinis conjure up all sorts of images of high class ladies, James bond spies and adventure. You can take advantage of this and have a martini party or outing themed specifically towards the fun that automatically arrives when you order a Martini.